Artist unknown. 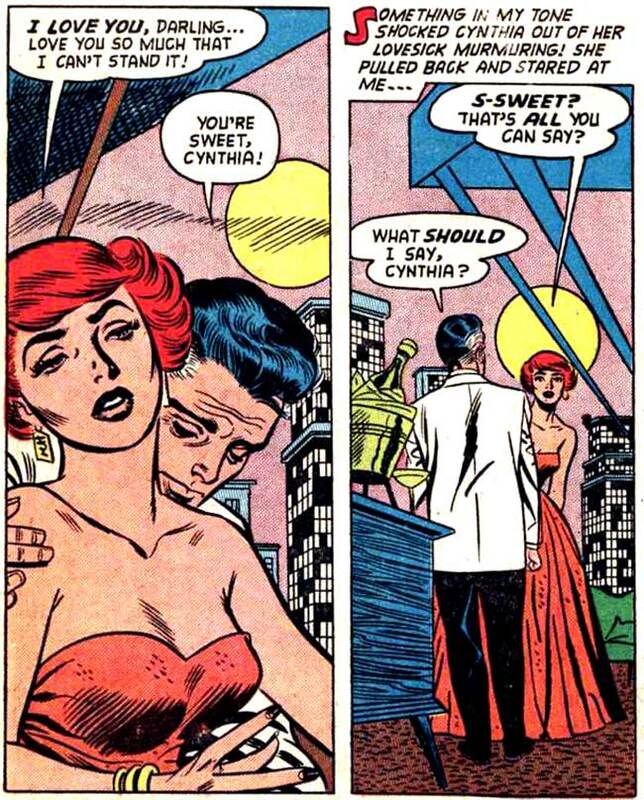 From the story “A Losing Game” in Heart and Soul #2, 1954. SCENE: An older man is making out with a younger woman. In the background is a playground with a child’s hopscotch pattern. MAN: I might be old, but…when I’m with you…I have young ideas!